Co-Creating Innovative Solutions for Healthcare (CRISH) is a free EIT Health short course for which there is a London edition on 21 and 22 November 2017. 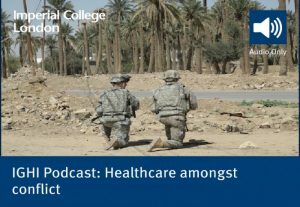 The course aims to teach multidisciplinary healthcare team members eg. clinician/ nurse/ AHP/ manager/ researcher/ patient to co-create solutions for healthcare together (these can cover service provision, research, device or other innovation development). The idea is that up to 3 different types of stakeholders from the same team (or subject area) would come to the course together (preferably with a patient/member of the public) and work on their real-life project. Individuals (who are not in a team) may also apply to attend and it may be possible to group them with others depending on their area of interest, however, preference will be given to those who apply as a group. Further details are found in the CRISH brochure and also the link to the website where people can apply. Please circulate this opportunity to those you think may be interested and get in touch with Maria Piggin if you have any questions. 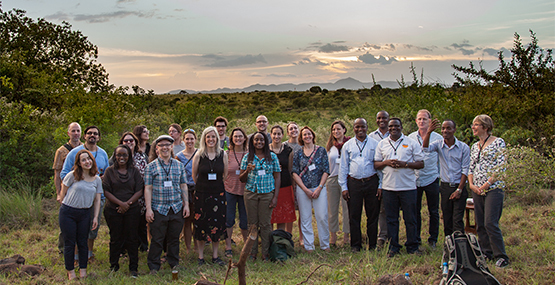 In early February Professor Christl Donnelly organized a workshop, funded by the EU-FP7-funded Predemics project, for 25 participants from 9 countries near Lake Manyara, Tanzania. The theme of the workshop was zoonotic disease and attendees included academics, veterinarians, and individuals from NGOs, research institutes, WHO, CDC and government units. The aim was to strengthen strategic interdisciplinary partnerships to improve the understanding and control of zoonotic diseases. A plenary talk by Professor Sarah Cleaveland kicked off the meeting speaking about zoonotic diseases and the human-wildlife-livestock interface in Africa. Over the next four days participants further explored this topic with a series of talks covering the challenges of controlling zoonoses in wildlife including One Health and conservation programmes, the impact of wildlife trade and the risks around food safety. Breakout groups identified burning research questions and control needs for Rabies, Livestock Zoonoses, Zoonoses & the Environment and Vector-Borne Diseases. These group sessions helped evaluate the current situations for these areas and highlighted key concerns. The early findings informed Dragon’s-Den-style pitches for a (sadly fictional!) research grant of $1million. A programme for control of livestock zoonoses which directly consulted the community to identify their concerns, before developing a scalable and sustainable model for control of zoonoses won the day. You can’t go to Africa and not go on safari: luckily the participants were able to fit in a visit to the Ngorongoro Crater National Park. This beautiful park is home to a huge number of species, including rhinoceros. The safari was followed by a talk by the Director of research at the Tanzania Wildlife Research Institute, Dr Julius Keyyu, who described the challenges of effective health governance in the context of protected areas and risky cultural practices. The mix of formal talks and breakout groups explored key topics and allowed time for plenty of discussion and debate. Following the workshop, many participants have made plans to meet again and form new collaborations. There is already talk of a follow-up workshop (funding permitting).